Cheers to the weekend friends! So glad that I get to spend the weekend at home because May was an intensely crazy month for me, I barely spent anytime at home this month due to work travels. I’m so excited to be spending time at home with the husband and finally get the chance to enjoy our newly renovated kitchen (more to come on that!)! 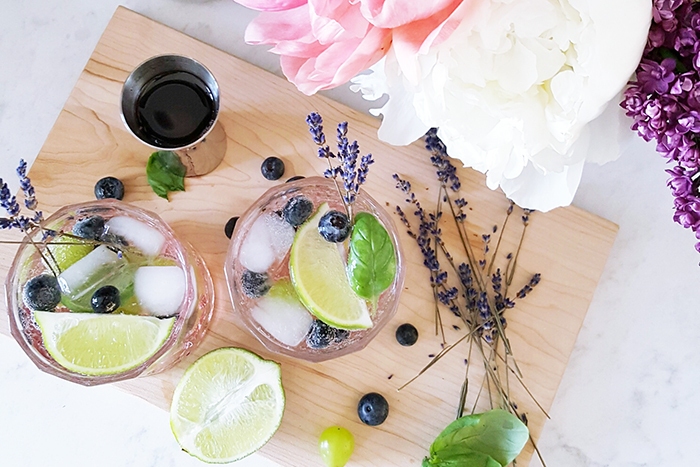 With so much business travel that went on over the past few weeks, instead of kicking off the weekend with a cocktail, I decided to throw together an insanely delicious mocktail instead. 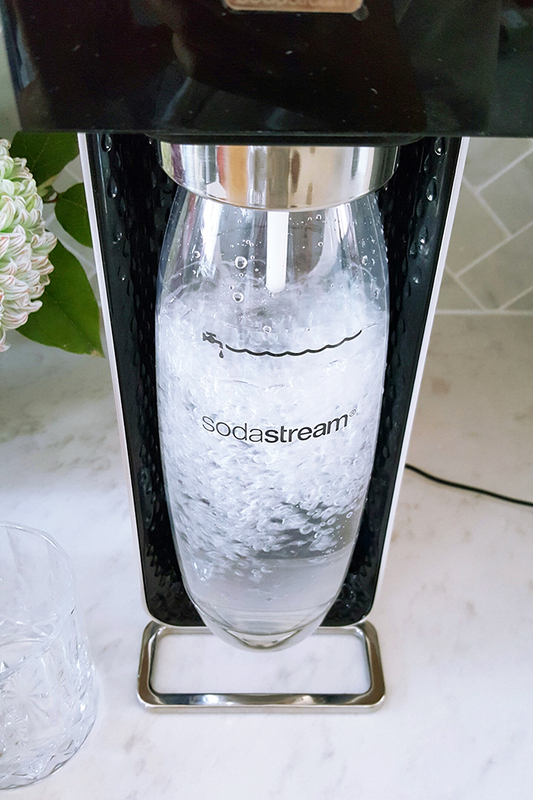 I took my brand spanking new SodaStream Power Machine for a spin and I’m truly amazed. With just some water and a quick hit of a button, I was able to make quality soda water right from my own kitchen. 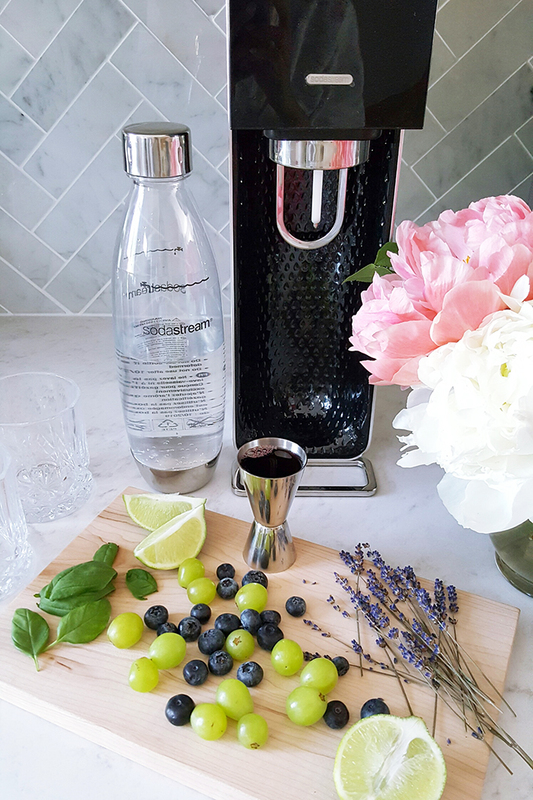 Not only does this save me time but it is super handy for cocktails and drink recipes, there are also many more added benefits of carbonating at home! 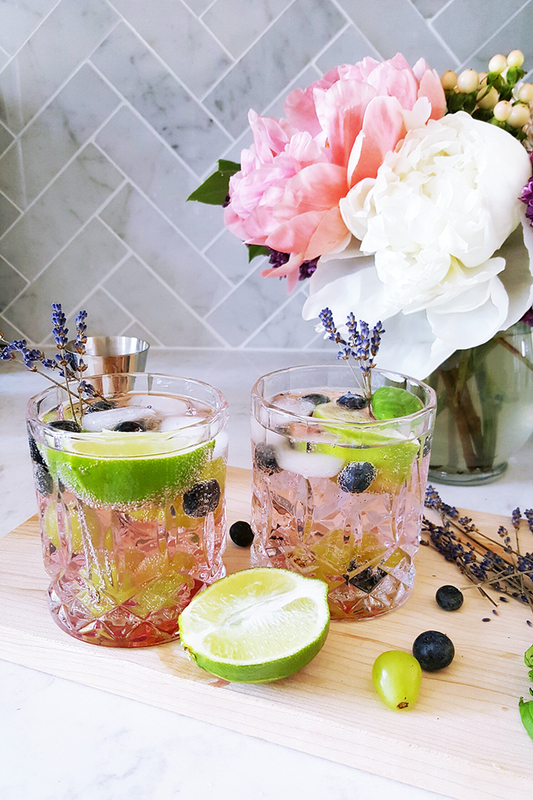 Read further to see how to make your own Black-currant Lime Mocktails! Fill SodaStream bottle to the desired level with plain water / Choose the level of carbonation you prefer (I typically use the medium level) / Fill glasses with ice / Mix Black-Currant Lime Water Mix into water / Pour sparkling water into glasses / Dress with grapes and blueberries / Squeeze fresh lime for some extra zing / Garnish as desired / and ENJOY! 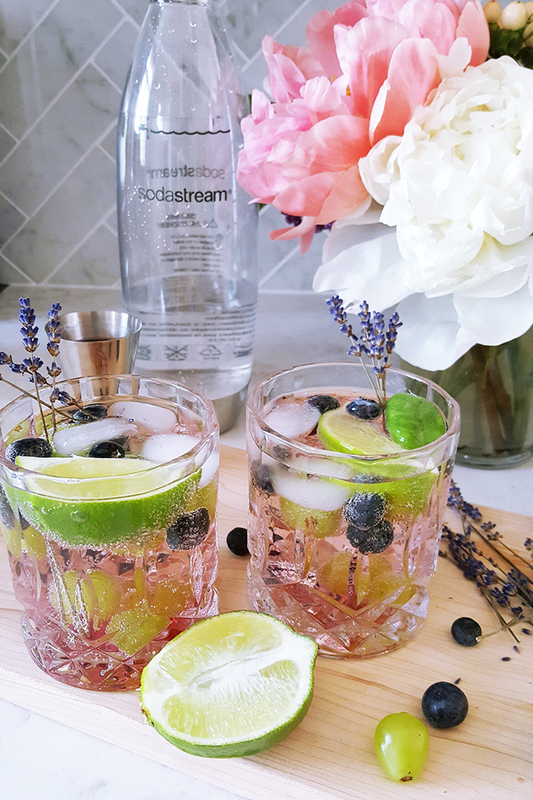 Have you ever thought of purchasing a SodaStream machine? If so, I think you’ll love it! The Power unit has a slick design and it takes up minimal space on the kitchen counter and will definitely make a statement alongside some on-demand flowers from Tonic Blooms. 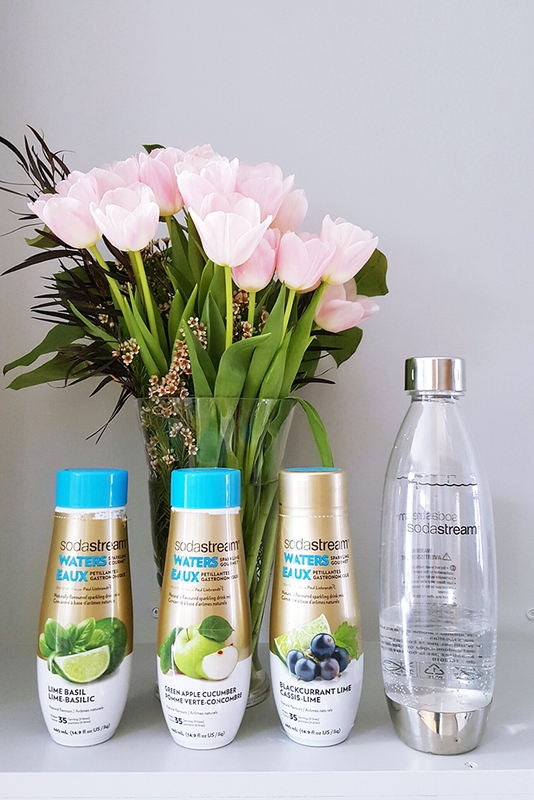 There are many more flavoured Water Mix including Lime Basil and Green Apple Cucumber! If you’re feeling up to it, you can also try your hand at some homemade syrups. 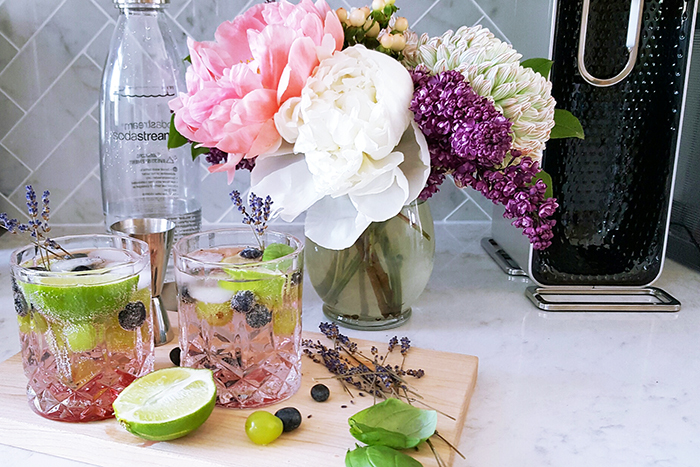 I hope you enjoyed this Mocktail recipe! Enjoy your weekend!